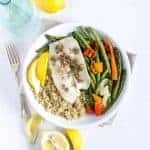 The easiest healthy meal around, simple oven roasted tilapia with vegetables that you can serve over rice or quinoa with a squeeze of fresh lemon. 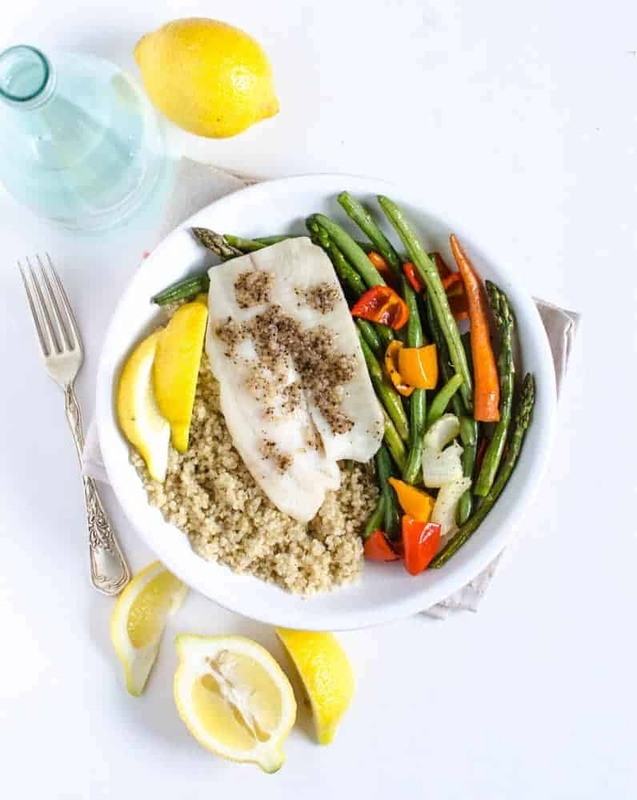 Today I’m sharing the easiest healthy meal around, simple oven roasted tilapia with vegetables. You can make this meal all on one sheet pan too which I love. I’m working with Bumble Bee SuperFresh® today and I’m really really excited about it. 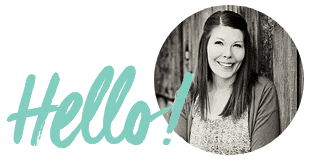 I am super picky about who I work with on the blog because I have to love their product, and even more, you have to love them too. I work for you, so I only work with companies that I know you are going to love. I choose to work with Bumble Bee SuperFresh® today for a couple of reasons. 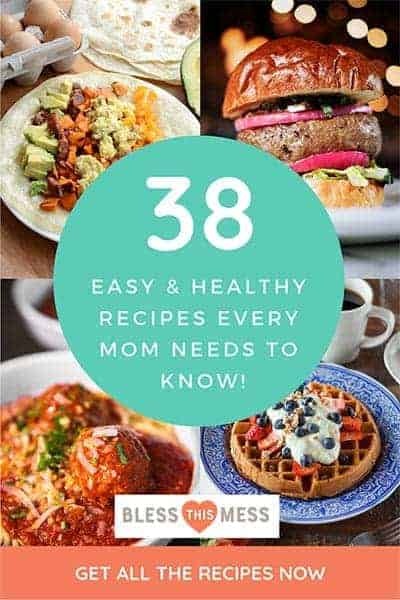 I love real food, I love simple/easy/fast/convenient meals and products but they have to still be good for me, and I know you need these awesome yet attainable foods in your life too. 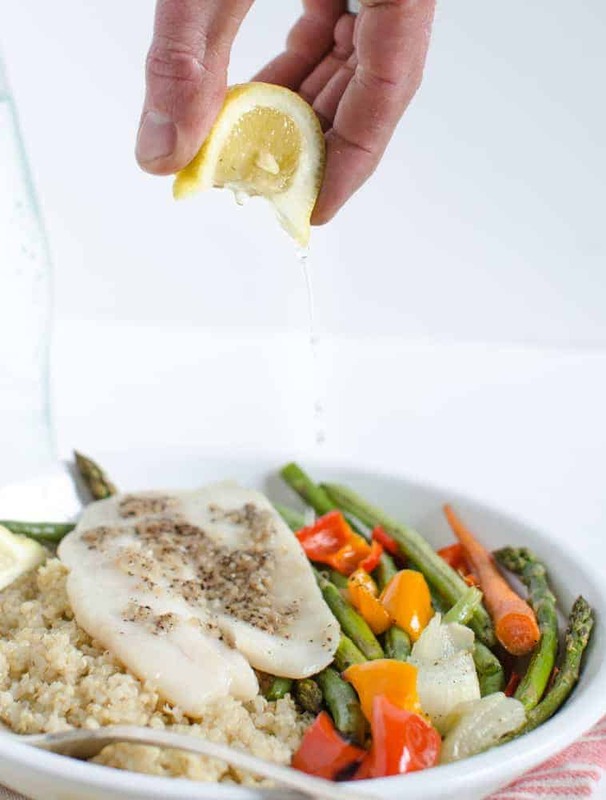 My friends, I’m in LOVE with this Bumble Bee SuperFresh® Tilapia with Garlic & Extra Virgin Olive Oil. We are big seafood fans but sometimes I get a little nervous when it comes to cooking it. If I buy tilapia or salmon it costs a little more than other proteins, so I don’t want to botch it. That being said, this Bumble Bee SuperFresh® Tilapia with Garlic & Extra Virgin Olive Oil was so easy to prepare and is very literally “fool-proof”. You pick this product up in the frozen section. The fish is individually frozen in air-tight plastic. You open the plastic, stick the fish in little parchment paper pockets (that come in the box), and then you bake it. There’s no thawing (which means no fishy smell), there’s no prep (everything comes preseasoned), and when the fish is cooked in the parchment it stays extra moist. Thomas said that the texture of the fish was “extra creamy and smooth” and that’s because it wasn’t overcooked (I’m fairly awesome at overcooking meat). Here’s the best part, the ingredient list was tilapia, fresh garlic, sea salt, extra virgin olive oil, black pepper. Boom! That’s it! I get crazy excited when prepackaged foods have really simple ingredients. I haven’t tried any of the other products besides this one, but I’m excited to find them. I created a super simple recipe for you today. You make the fish according to the packaged directions and then bake it. On the same pan you add some vegetables that cook right along with the fish. When it’s all done you can serve it over quinoa or rice with a heavy hand of fresh lemon juice. You’ll have a healthy flavor-packed meal on the table in about 20 minutes and you’ve only dirtied one sheet pan (I prep my quinoa once a week and so I just pulled it out of the fridge and heated it up!). Done and done. I hope you are swooning over how simple and healthy this dish is! This is going to make a fish-lover out of your pickiest eaters (hello delicious fresh-tasting fish that isn’t hiding under a sauce!) and you will thank me when you only have 5 minutes of prep for dinner and minimal dishes after. Long live healthy easy dinner and “convenience foods” that only have real ingredients. I love sharing new products and great recipes and I hope you loved this one as much as I did. 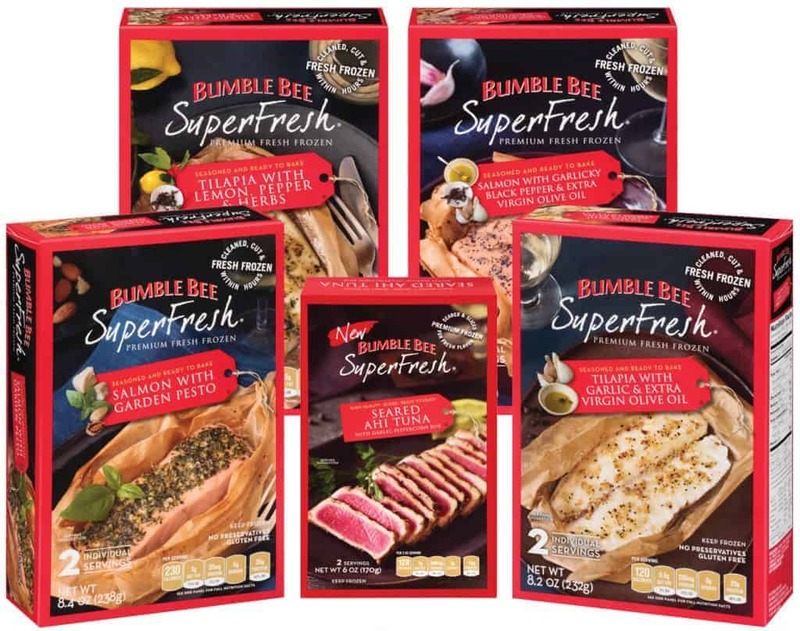 I like the Bumble Bee SuperFresh® Tilapia with Garlic & Extra Virgin Olive Oil so much that I saved the box so that we could get it ordered to sell in our little grocery store. You can use this handy store locator to find out where YOU can purchase these products. It just happens to be gluten free too which my father-in-law is excited about. Thank you for enjoying the companies that I so thoughtfully choose to work with. Enjoy! If you are using other vegetables (like beets or sweet potatoes) they may take longer than 18 minutes to cook. You might want to cook your vegetables and fish on separate pans so that you can remove the fish when needed and allow the vegetable to cook through. If you are going to serve it over quinoa, I highly recommend cooking the quinoa in chicken stock. It tastes much better this way than just cooking it in water. 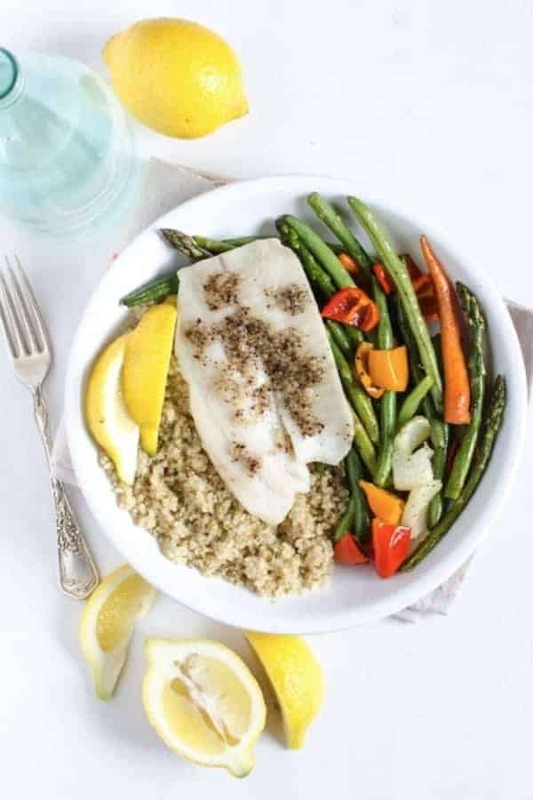 Prepare the Bumble Bee SuperFresh® Tilapia with Garlic & Extra Virgin Olive Oil according to package directions and then place the prepared packets on a baking sheet. 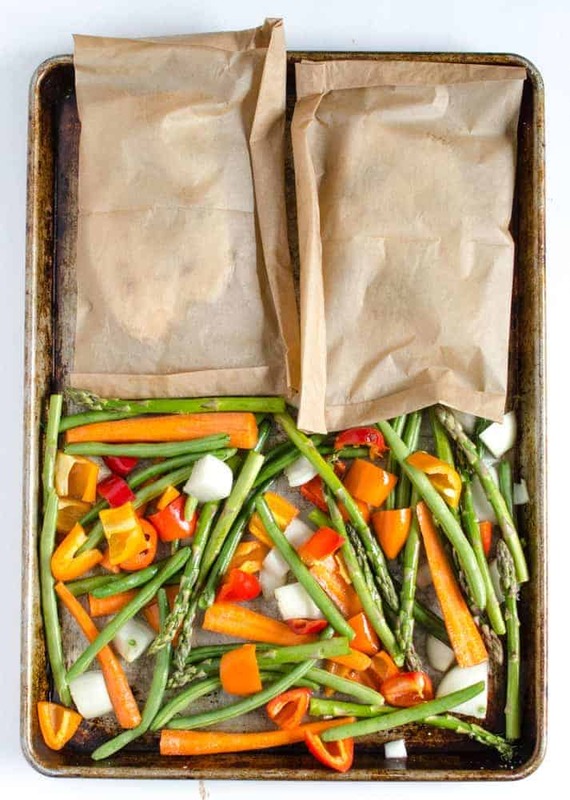 Prepare vegetables and place them on the other half of the baking sheet. lightly drizzle the vegetables with olive oil and then add salt and pepper. Place the pan in the oven and bake for 18 minutes (this is the time the package says to cook the fish). Remove from the oven. Carefully remove fish from parchment packet. 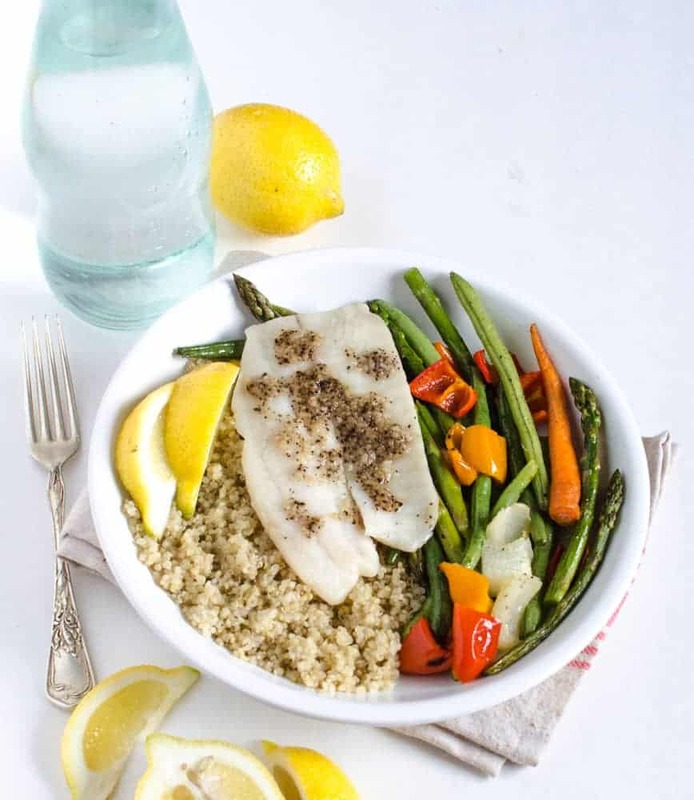 Serve the hot vegetables and fish over hot cooked rice or quinoa. Add fresh squeezed lemon juice and additional salt and pepper to taste. If you are using other vegetables (like beets or sweet potatoes) they may take longer than 18 minutes to cook. You might want to cook your vegetables and fish on separate pans so that you can remove the fish when needed and allow the vegetable to cook through. If you are going to serve it over quinoa, I highly recommend cooking the quinoa in chicken stock. It tastes much better this way than just cooking it in water. Thank you for enjoying the companies that I so thoughtfully choose to work with. Enjoy! Gonna have to find some…….. love fish! He hates fish….. too bad, so sad…. I am the cook! It’s REALLY good, you might want o hog it all for yourself anyways! I absolutely LOVE tilapia . . . it’s so good. This looks super tasty!